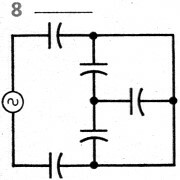 Here is a nice quiz on calculating total equivalent capacitance for circuits containing various combination of series, parallel, and series-parallel connections. 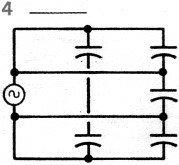 To help in calculation, all of the individual capacitor values are the same. 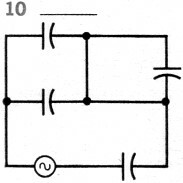 Many of them you can probably solve in your head, especially if you mentally rearrange the circuit into a more readily recognizable configuration. 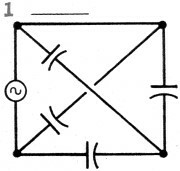 For instance, circuit #1 can be redrawn having two parallel branches across the source. 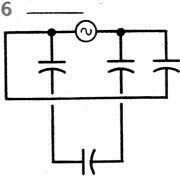 One branch has just a single capacitor while the other has two parallel capacitors in series with one capacitor. The equation is then C + (2C2/3C) = C + 2/3C = 5/3C. For C = 6 pF, Ctotal = 5/3*6 pF = 10 pF. Capacitors are not only used as single units in electronic circuits, but are often combined in series or parallel with other capacitors. 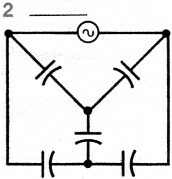 When connected in series, capacitors add like resistors in parallel. 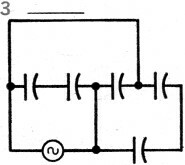 The exact formula for adding any two out of any number of capacitors in series is: CT = C1 x C2/C1 + C2. 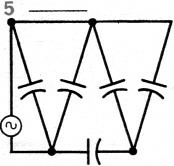 When connected in parallel, capacitors add like resistors in series, so that the total capacitance is equal to the sum of the separate values. 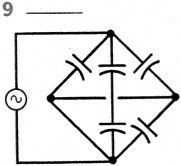 To test your skill at working capacitor problems, try to find the total effective capacitance available in each of the circuits (1-10) shown below. Each capacitor is rated at 6 pF. 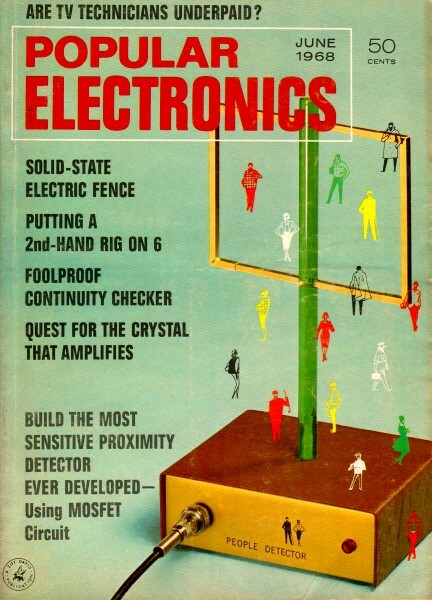 Hint: Beware of capacitors that might be shorted out. 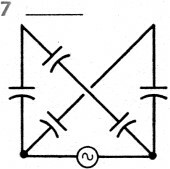 Answers are at the bottom of the page.